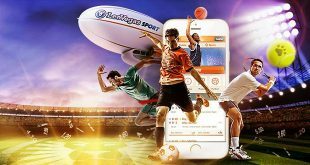 Besides pushing forward the products of their gaming partners, affiliates should not forget about promoting their own product, according to LeoVegas. 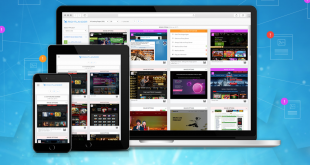 In the latest edition of the mobile gaming operator’s Affiliate Academy, LeoVegas explains how affiliates can increase traffic to their website and hence increase sales numbers. The simple equation is that by having more visitors to your page, you will concurrently be increasing the number of potential buyers . 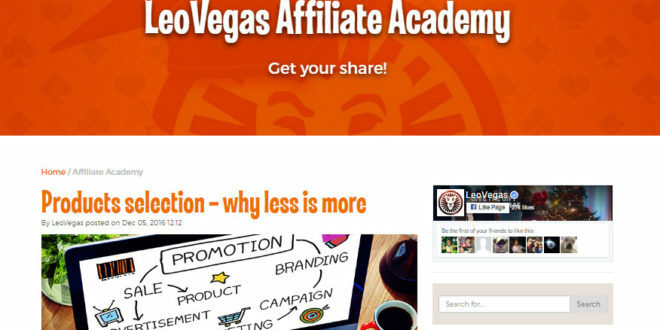 LeoVegas explained: “Many affiliates focus solely on pushing hard the merchants’ products and totally forget to promote their product: the website/brand. To start increasing traffic, you should first map out how you can achieve this, and determine how you should let the world know that your website exists. According to LeoVegas’ Affiliate Academy, it is important to be social and be present to establish trusted relationships with followers, engage with them and be sure to reply to their comments. 74% of consumers identify ‘word of mouth’ (WOM) as a key influencer to their decision making process when buying, therefore it is important to interact with followers and create relationships. Social proof is when humans take action or make a decision based on seeing other humans doing it first. It’s sort of like an implied recommendation – if other people do it, it must be good. Check out the article ‘How your audience can be your best asset’ by clicking here.